Due to heavy rain forecast for Saturday, the event will take place on Sunday. Tents will cover sound equipment and cake–but bring your umbrella in case of a light spring shower. Pretend we’re in England where ceremonies in the rain are common. Free hugs for Mom on Mothers Day! 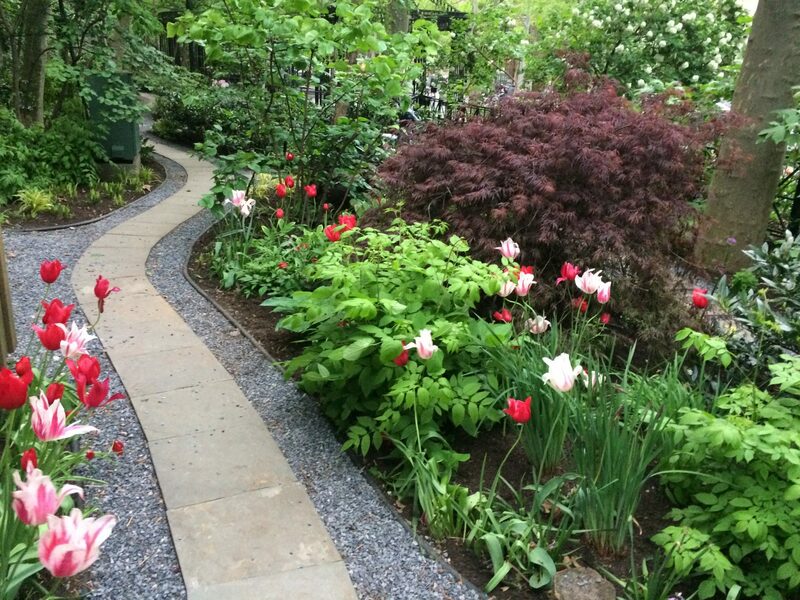 See the thousands of new plants in Katharine Hepburn Garden. 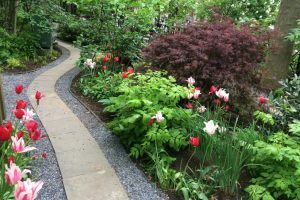 The newly laid path will keep your shoes dry and out of the mud. Springtime showers bring lovely flowers!